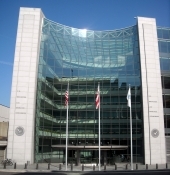 On December 15th the SEC announced it will charge Atlantic Asset Management LLC with violations of the antifraud provisions of the Investment Advisers Act of 1940. The SEC alleges that an investment advisor, while working for Atlantic, invested clients’ funds in bonds without disclosing to its clients that the sales would benefit a broker-dealer whose parent company partially owned the firm. The SEC alleges that Atlantic invested more than $43 million of client funds in illiquid bonds issued by an entity that partially owns Atlantic. The SEC further alleges that Atlantic Asset failed to disclose those conflicts of interest to its clients.